Maria Crespo is our Client of the Month for August 2016. Like many of the bright and talented young people who are contributing to our country, Maria, a citizen and national of Peru, was brought to the United States as a four-year-old child. She grew up here like most U.S. citizens do – spending time with her family, going to school, making friends, getting involved in activities, and dreaming about the bright future ahead of her. Yet, when she was old enough, she learned that she was undocumented and suddenly realized that meant her future may not be as bright as she once thought. 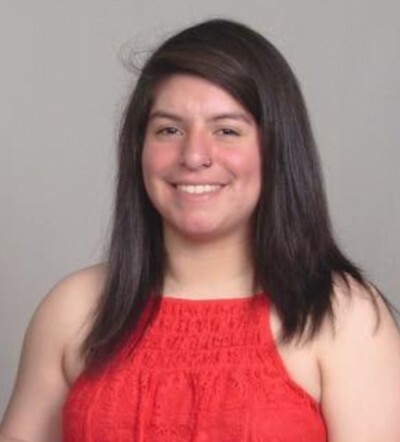 A straight-A student who had won numerous awards for her positive contributions to her schools, academic achievements, and athletic championships, Maria suddenly realized that she might not be able to go to college. She might not be able to become the lawyer she wanted to be. She might not be able to contribute to American society in the ways she had always hoped. When we first met Maria, an incredibly intelligent and sweet teenager, she was devastated about these uncertainties. But like many young people in her situation, Maria’s life changed when President Obama announced the Deferred Action for Childhood Arrivals program (“DACA”), specifying that his administration would apply a long-existing mechanism under the law called “deferred action” to young people who were brought here before they reached age 16. While not a lawful immigration status, DACA recognizes eligible young people’s presence in the United States, grants them work authorization, and helps to lessen their fear of deportation so they can more openly participate in and contribute to American society. We assisted Maria in applying for DACA and her application was approved. Maria then had the opportunity to attend the College of William & Mary, where she is now a student pursuing a double major in government and psychology and serving as a Spanish mentor and member of the Latin American Student Union. While becoming a DACA beneficiary was a very significant development for Maria, she still did not have a lawful immigration status in the country she has always known as “home.” At Benach Collopy, we are always thinking outside the box and looking for creative ways to fight to achieve our clients’ goals, and to us, Maria and her future were certainly worth fighting for. The challenges Maria faced regarding her immigration status stemmed from the fact that she was brought to the United States at four years old through the use of invalid entry documents. In order for her to become a lawful permanent resident, and eventually, a U.S. citizen, we needed to fix that problem. We notified Maria that DACA beneficiaries may obtain something called “advance parole” to travel for certain humanitarian purposes. A re-entry to the United States on advance parole would fix her prior unlawful entry as a four-year-old so that she could adjust status to lawful permanent residence (“green card”) based on her U.S. citizen step-father’s petition. It was obtaining the advance parole document and re-entering at the border that would be the challenge. We put together compelling evidence that Maria should be granted an advance parole travel document so she could visit her aunt in Peru. We then highlighted all of Maria’s equities in the United States – her DACA status; her enrollment as a college student at William & Mary; her U.S. citizen and lawful permanent resident father, stepfather, stepmother, and sister; and the fact that she has lived nearly her entire life in the United States – and convinced U.S. Customs and Border Protection that they should permit Maria to re-enter on her advance parole document. Following her re-entry to the United States, Maria applied to adjust her status to lawful permanent residence. Her application was recently approved and she now has her green card. Congratulations Maria! We know that your potential is limitless and that your future is brighter than ever. The United States is lucky to have you as a permanent resident!